Techniques for accurately delineating the tumor bed after breast-conserving surgery (BCS) can be challenging. As a result, the accuracy, and efficiency of radiation treatment (RT) planning can be negatively impacted. 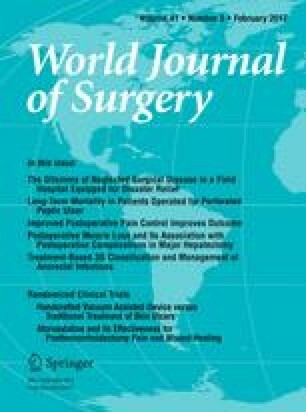 Surgically placed clips or the post-surgical seroma are commonly used to determine target volume; however, these methods can lead to a high degree of uncertainty and variability. A novel 3-dimensional bioabsorbable marker was used during BCS and assessed for its impact on RT planning. One hundred and ten implants were sutured to the margins of the tumor bed excision site in 108 patients undergoing BCS. Routine CT imaging of the breast tissue was performed for RT planning, and the marker was assessed for visibility and utility in target delineation. RT regimens, target volumes and associated treatment costs were analyzed. In all patients, the marker was easily visible and in 95.7 % of cases, it proved useful for RT planning. 36.8 % of patients received conventional whole breast irradiation plus boost, 56.6 % received hypo-fractionation plus boost, and 6.6 % received accelerated partial breast irradiation. A shift toward increased use of hypo-fractionated regimens was noted over the three year period of this study. There were no device-related complications or cancer recurrences in this group of patients. This study demonstrated the use of a novel 3-dimensional marker as a safe and effective method for delineating the tumor bed with a significant utility for RT planning. With routine use of the device, an increased use of hypofractionation with a resultant 25 % cost savings was noted. Dr. Lebovic is a consultant for Focal Therapeutics, Inc., Aliso Viejo, California.